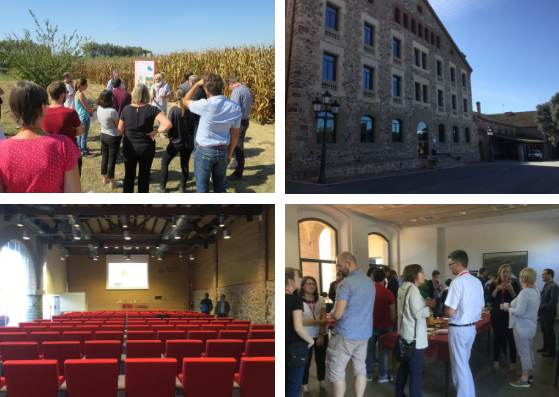 The first Circular Agronomics General Assembly took place in Catalonia on September 27 and 28th 2018. This was an opportunity for all partners to meet and discuss the first year of work on the project. Hosted by IRTA at their historic site in Caldes de Montbui. During the meeting, the partners visited two study sites within the Catalonia case study: the Monells experimental site were precision feeding for cattle will be conducted and the Mas Badia site where changes in soil organic carbon stocks and phosphorus accumulation in soils will be monitored in fields under long-term organic fertilization. Circular Agronomics brings together companies, research centres and universities from 10 countries. It aims to increase the recovery and recycling of nutrients throughout the agri-food chain at a European level and to reduce the environmental impact of agriculture, livestock farming and the food industry. Circular Agronomics will be based on the principles of the circular economy, aiming to reduce and reincorporate residual phosphorus and nitrogen into the production chain, mainly from fertilizers and slurry, and to increase the carbon retention of the soil. For additional information visit the project and case study pages!